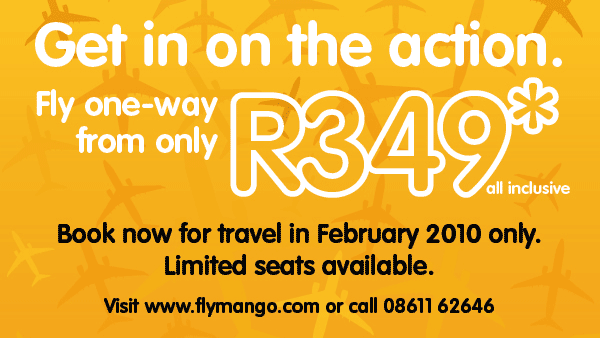 Mango Airlines are advertising one-way flight specials from R349 (all inclusive), for travel in February (limited availability). They don't specify what route, but I had a look around and could only find it available on some dates on the Johannesburg - Durban flight route. 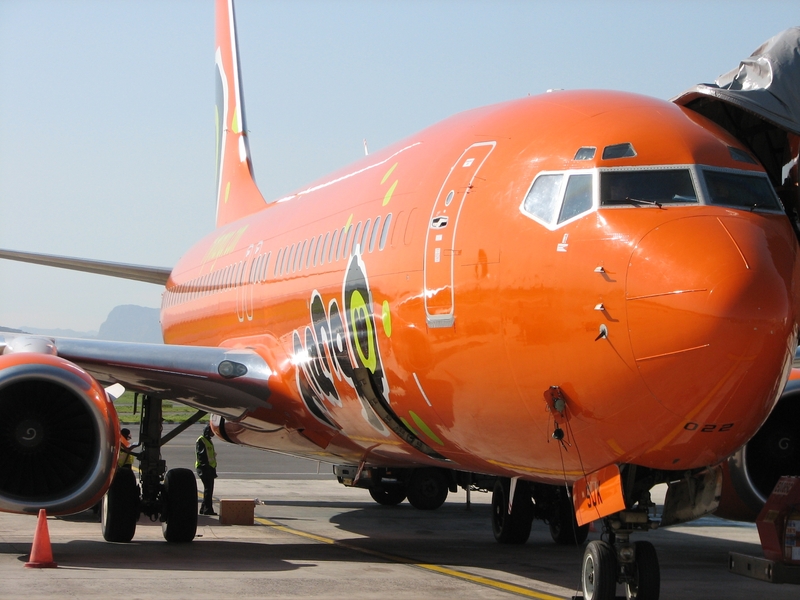 Book at Mango Airlines, but ALWAYS cross-check flight prices before booking.